Organix is increasingly concerned about the amount of unnecessary ingredients found in some baby finger foods and toddler snacks. I’ve been one of their No Junk Mums for a while and was delighted when they asked me to join their Junk Buster Panel. Now try to remember what baby and toddler snacks were like 15, 20 or 30 years ago. What would young children get as a snack? Thinking back, I don’t think there was much available specifically for toddlers, even less for babies, apart from sugary rusks and the odd baby teething biscuit. Most babies would simply be weaned on veg and fruit purées with a milk bottle in between meals. When I was weaning my little man 10 years ago, there were a few snacks and finger foods around, but it was only the start of the baby led weaning revolution really, so options were limited and if I’m not mistaken, Organix and Ella’s Kitchen were the only brands I occasionally bought for him when travelling or going out for the day. There are now hundreds of options available to new mums and it’s quite frankly confusing. I’m glad I started this motherhood journey when there was less choice! I feel like I’m forever buying snacks for my children. My four are snack monsters. They snack, snack, snack, snack, snack, snack. When they’re not snacking, they’re asking (begging) for snacks, sneaking into the kitchen to try and grab a snack or they’re busy being angry with me because I’m not quick enough delivering snacks. Life with growing children is like throwing food into a bottomless pit! In an ideal world, I would be spending all day every day by the stove making the most delicious, wholesome, nutritious snacks for my children, but the reality is I simply don’t have the time to do that, and I need a range of easy healthy snacks I can just grab and stuff in a bag at a moment’s notice. What are healthy snacks for kids? First of all, I am not an expert on nutrition so please take everything I say with a pinch of salt (no pun intended!). This is just my perspective as a mum of four children under 10. As an oversimplification, I’d just say that healthy snacks don’t contain too much refined sugar. They also don’t contain any added salt. Ideally, they’re not too high in saturated fat either. “You’ll find traffic light labels on most food and drink, usually on the front of the pack. These labels use red, amber and green colour coding to help us understand what’s inside our food so we can make healthier choices when shopping. It doesn’t mean I don’t allow treats that contain sugar, salt or saturated fat. I’m a strong believer in enjoying your food without feeling guilty and having everything in moderation. Strict exclusion diets as a lifestyle choice are not my cup of tea, but I respect those who choose to do so. I want my children to grow up enjoying food, flavours and never feeling guilty, because the last thing I’d want is for them to develop food disorders or worries over food. My four children have a bit of everything. They love vegetable soup, a good curry, homemade bread and freshly picked fruit. We also opt for fast food from time to time, go to our favourite sweet shop for our birthdays, love pizza and enjoy sweet and salty homemade popcorn. They don’t gorge on salty crisps, fizzy drinks or sweets all day every day. Added Salt in Toddler Snacks? I can’t emphasise enough how important it is to look at the ingredients list and avoid any snacks with added salt or sugar. I was taken aback by the fact some of the snacks available in the baby and toddler aisle contained as much salt per 100g as a pack of Walkers crisps. Added salt should simply not be allowed in snacks marketed towards babies or toddlers in the supermarket. Full stop. Healthy tasty snacks simply do not require any added salt or refined sugar, as my friend Mandy recently wrote in an article for Metro. It’s common sense that the quickest and easiest way to provide my four little ones with healthy snacks on the go is to give them a piece of fruit and send them on their way! An apple, a banana or a satsuma can help fill that gap in their tummies mid-morning or mid-afternoon. 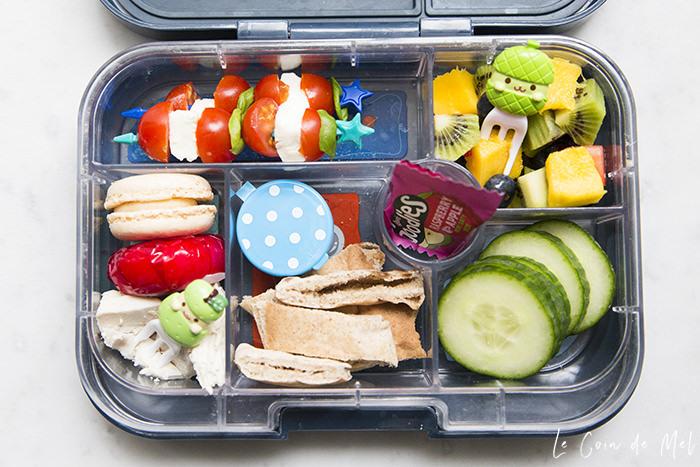 – What should I put in my child’s lunchbox? Disclosure: I work with Organix as a No Junk Mum. This blog post is part of our #FoodYouCanTrust journey. All opinions and photos are my own. This is something my mum needs to read for my baby brother. He is now at an age where he goes & helps himself into the kitchen & starts eating packets of crisps, chocolates & the whole LOT! Health is so important and he is really unhealthy at the moment. Mine are the same. They could snack all day if I let them! The app is brilliant and very simple, you’ll love it! My 4 are always using it to check everything. Switching out junk for healthy food is NEVER easy. I totally understand that one. So, we do reduce the amount of junk we buy on our weekly shopping trip. If its eaten before the end of the day or week, then its gone. In the end our daughter only has the healthy food to eat. That is the way we have dealt with it, it doesn’t always work for every family. That’s a great way of dealing with it! If it’s not there, there’s a lot less chance you’ll crave it in the long run. 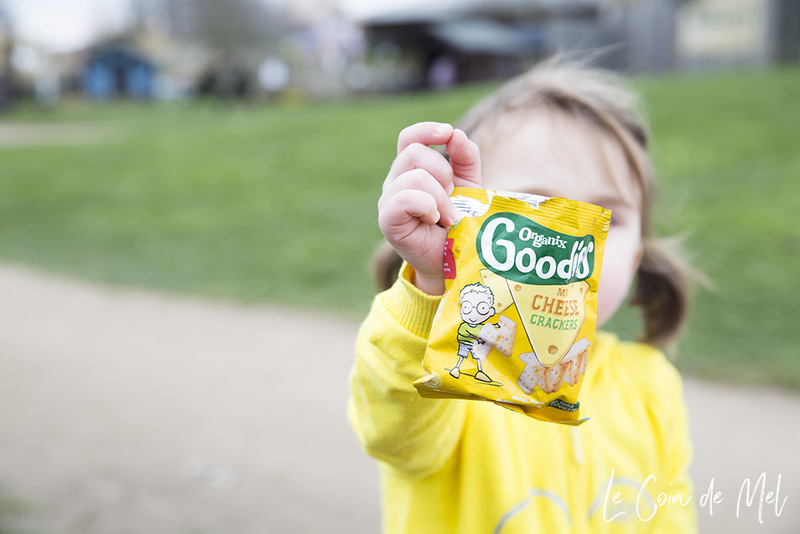 We try very hard to eat healthy snacks but I always found it hard when we were on the go. That’s why we love Organix, the kids look at them like they are a packet of crisps, so they are happy but I’m happy because I know they are so much healthier! 2 of mine love the long strips, and the other two like cucumber slices 🙂 Kids, hey! Such a great post! 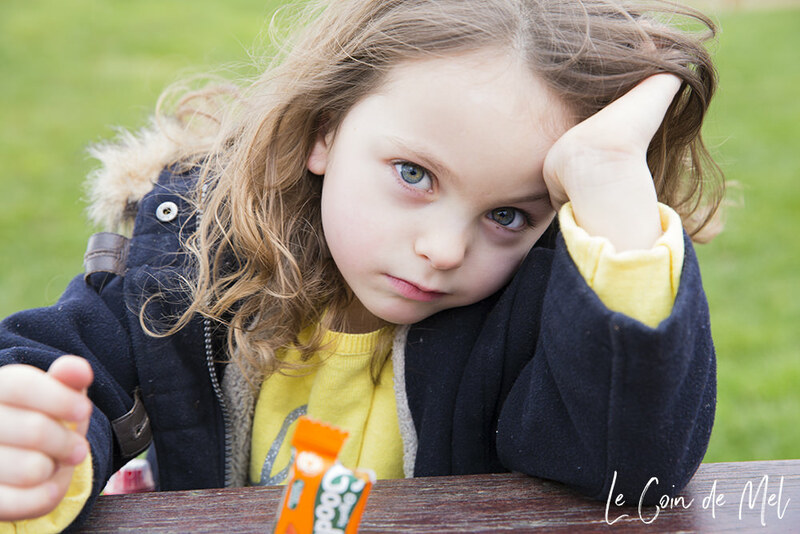 My daughter is a really picky eater – not in what she eats but how much she will eat. She only ever really wants small portions but would snack constantly if we let her! Such useful information and ideas thanks! I’m glad you found it all useful. My youngest is incredibly picky at the moment, but I keep reminding myself it’s just a phase (that’s my mantra for everything!). I can totally relate to snack monsters! Monkey is a grazer and will constantly eat given the option. Which makes it hard to keep him on track! Love the little snack boxes, may have to hop over to Graces shop! Kipper is a salt fiend I’ve alteady noticed he opts for those type of snacks when given the option. I need to train Hubby better too!!! That’s brilliant! They’re highly likely to have a great diet as they become adults too 🙂 Well done, it’s probably all down to you! I’m going to read this to my two terrors and see if your wise words have an impact because I’m pretty sure they’re fed up with hearing me say it to them! FANTASTIC post! I struggle with my first and fourth. They hate healthy snacks. However, my 2nd, 3rd and 5th will pretty much eat anything I put in front of them. Our fruit bowl is never full for long and they adore carrot stick and cucumber. This is a great article. I always find it hard to think of good snack ideas adn certainly my son always wants the unhealthy options! Thanks Victoria 🙂 I find that my 4 are quite happy to be fed Organix snacks. I’ve even started having them myself hahaha! great post. I’ve always tried to feed my kids healthily and checked on salt content. I do love organix snacks for my toddler. Thanks lovely. We are big Organix fans here too! It was a brilliant day and I learnt a lot about what Yellow Zebra do since going on that fun day out. I would definitely go with them if I had the money saved for a safari right now!